Take the Keisei Line to Nippori Station. 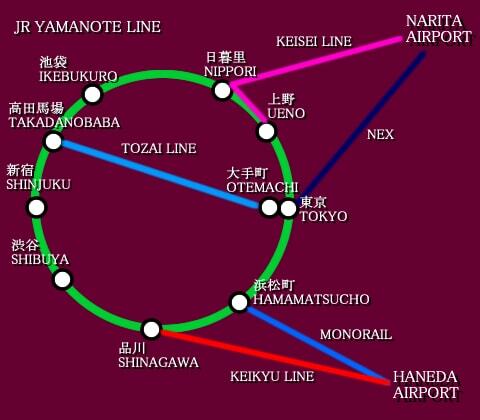 Take the Keikyu Line to Shinagawa Station. 1. 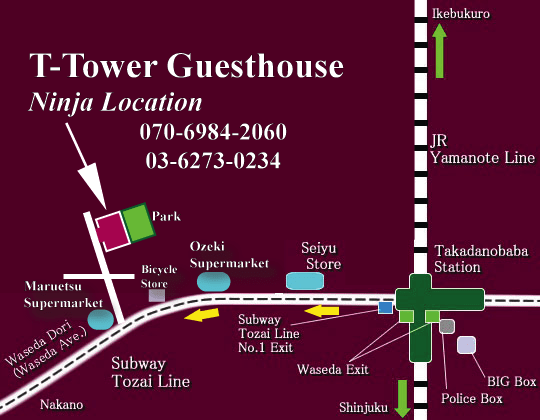 Get off at Takadanobaba station on JR Yamanote Line or on Subway Tozai Line. 2. Go left on Waseda Dori (Waseda Ave.) and turn right after Seiyu Store. 3. Go down the hill and at the bottom turn left. 4. From there, walk about 5 min. and T-Tower will be on your right. 2. 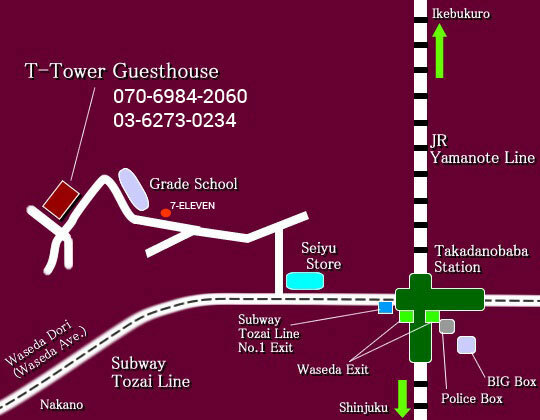 Go left on Waseda Dori (Waseda Ave.) and pass the Seiyu Store (on right side). 3. Pass the Ozeki Supermarket on the right side. 4. Turn right at the corner with the Maruetsu Supermarket (on the right side). T-Tower Guesthouse will be on your right soon after that.